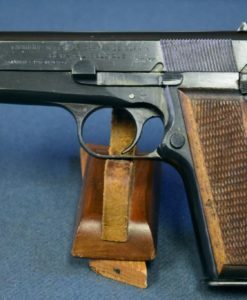 In 98% Mint crisp condition we have an early 1942 production “a” block Nazi Occupation WaA140 Waffenamted FN Model 1922 Pistol. 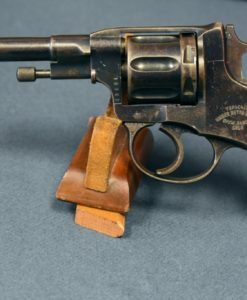 The pistol is completely matching and has a mint bore. 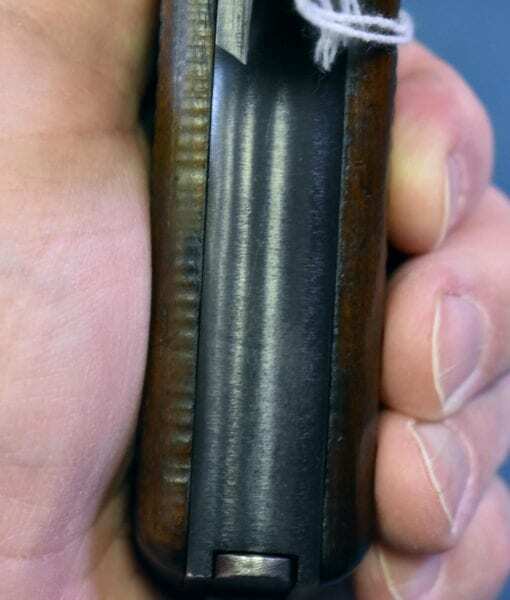 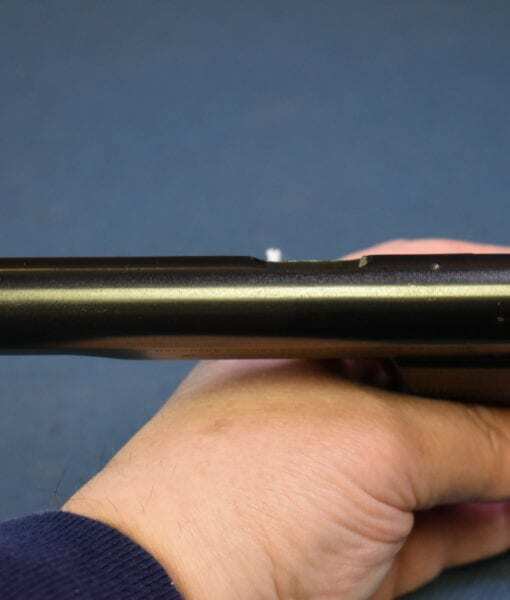 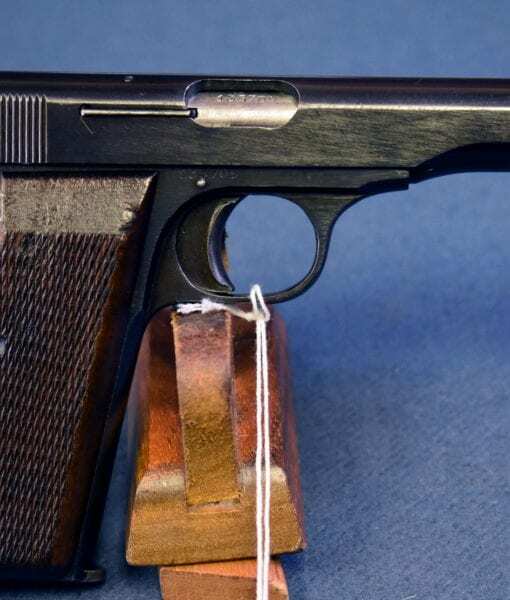 There is just a minimal hint of wear on this pistol, it so much nicer than we usually see. 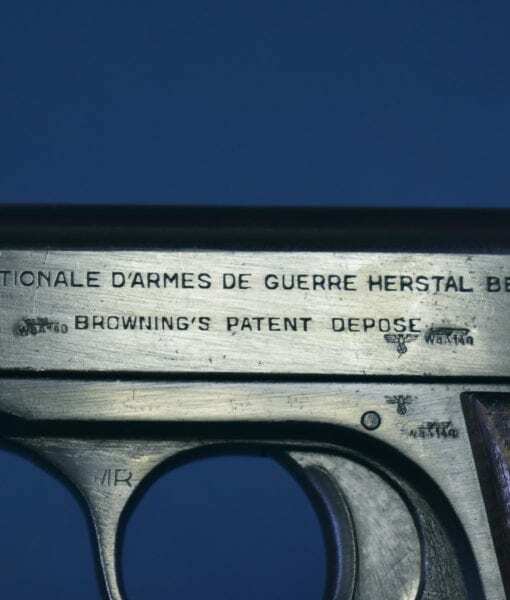 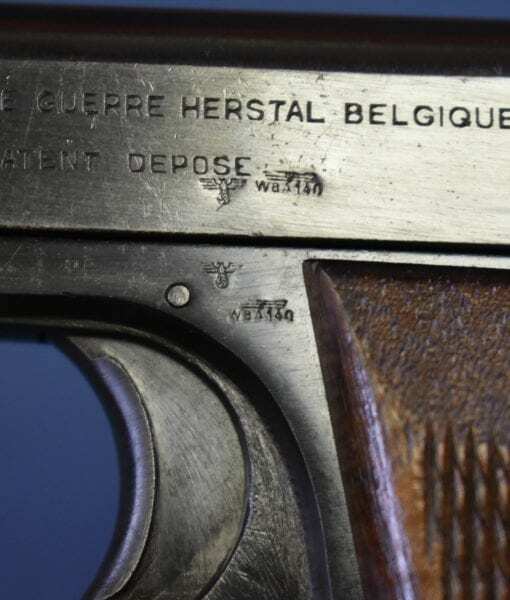 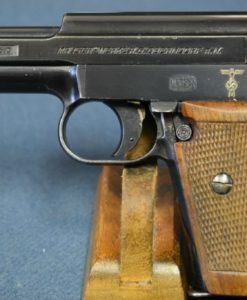 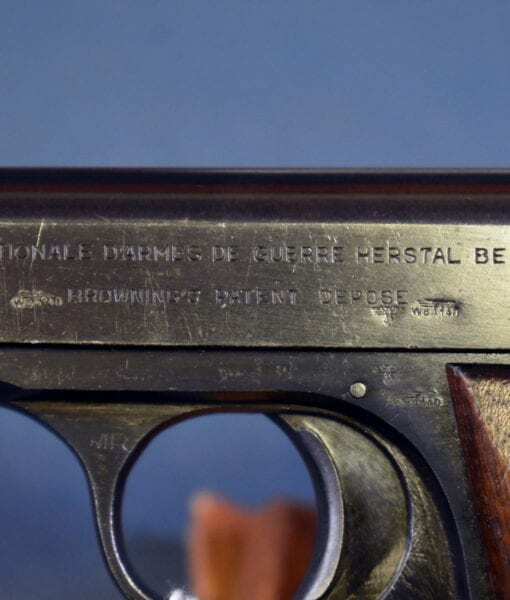 The FN Model 1922 was one of the most common German issued pistols of WW2 and most of them were sent to the Luftwaffe and they were commonly used to arm aircrew. 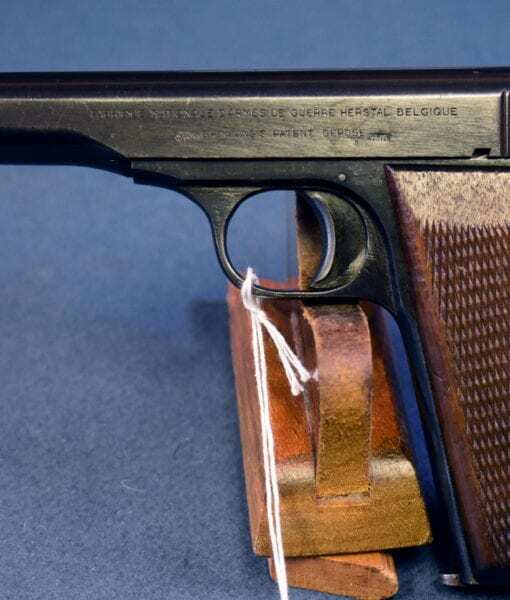 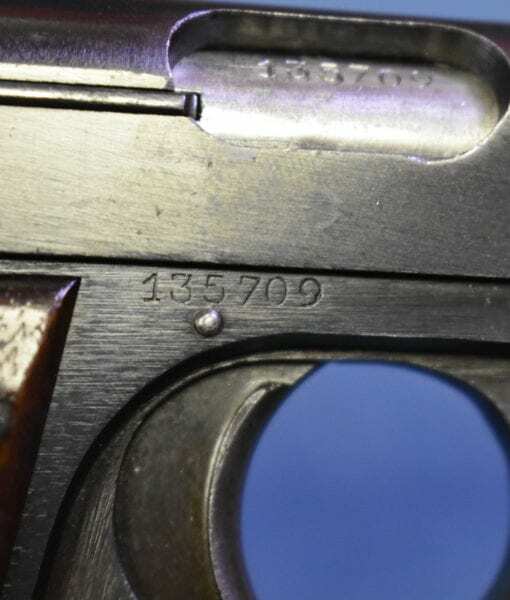 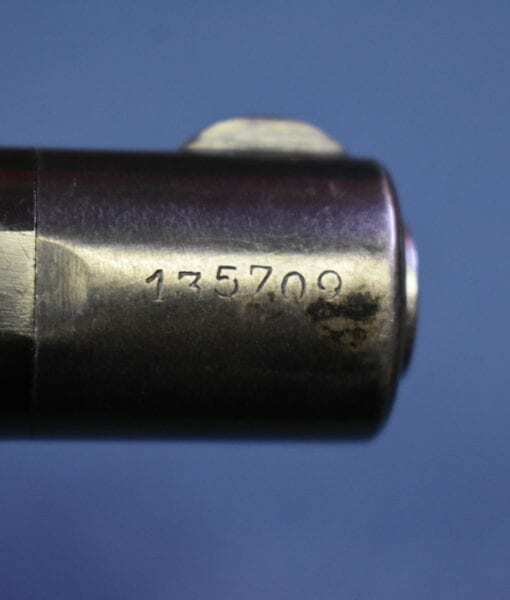 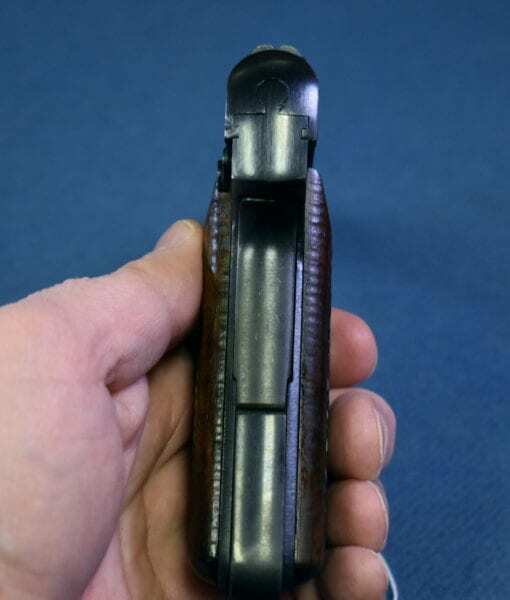 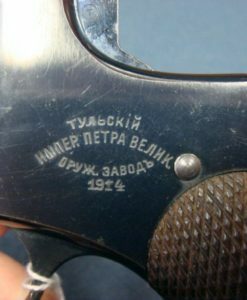 This is a common pistol that has been found in uncommonly fine condition.